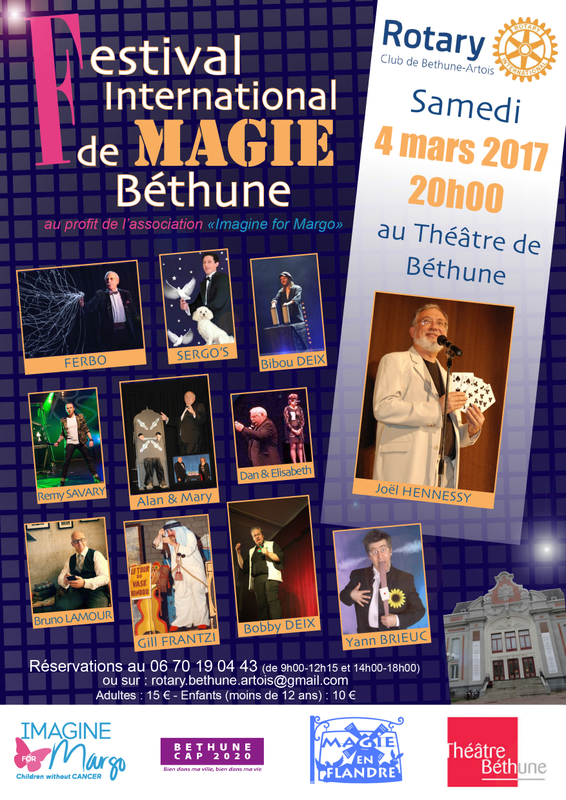 A huge thank you to the Béthune Artois ROTARY CLUB for this magic show organized in favor of Imagine for Margo. More than 400 spectators attended the evening and tricks of the 11 magicians. “Magic allows us to dream. The troupe of quasi-professional magicians was very applauded by many children with astonished eyes and by their surprised and delighted parents. A standing ovation finished the show which ended late! ” Jean-Pierre, Antoine’s grandfather. Go, Do magic tricks, Win !